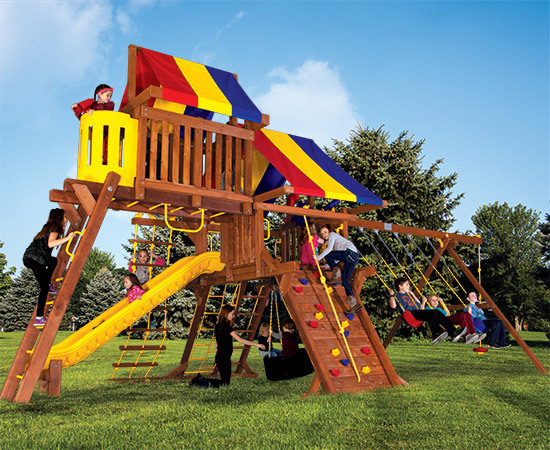 The Sunshine Castle is our #1 Best Selling swing set! 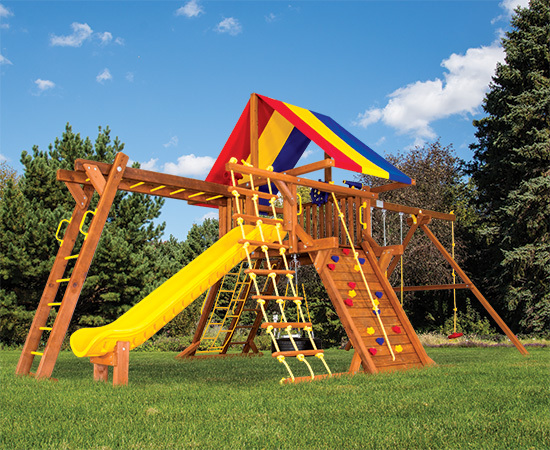 The Sunshine Castle has been very popular, celebrating its 25th Anniversary in 2019. 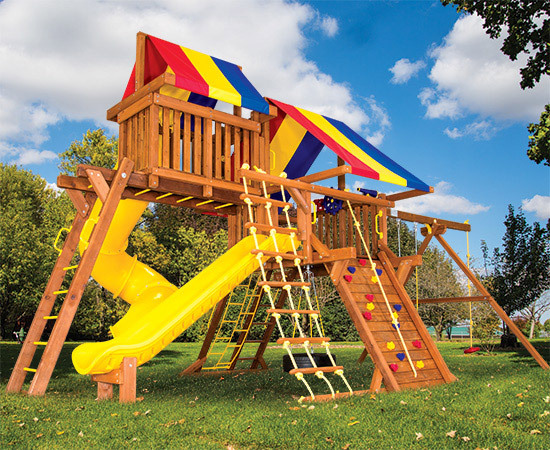 Just like the Original Rainbow Castle, but slightly scaled back in deck height, our Sunshine Castle has the same deck size and 4” x 4” ladders & 4” x 4” a-frame legs. 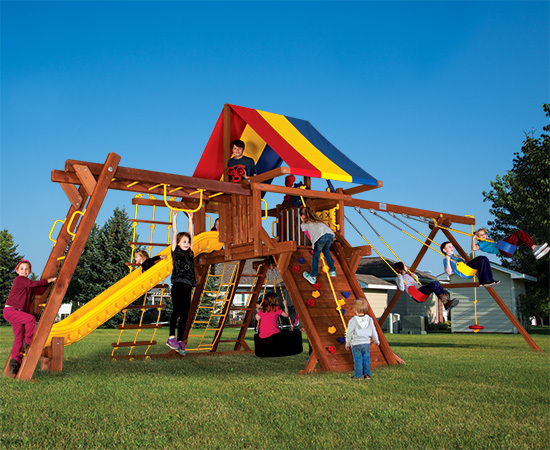 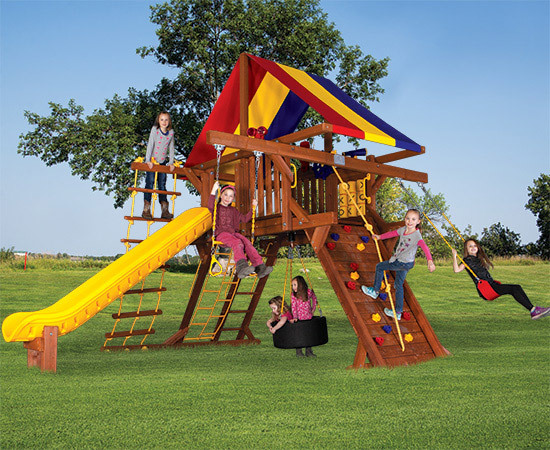 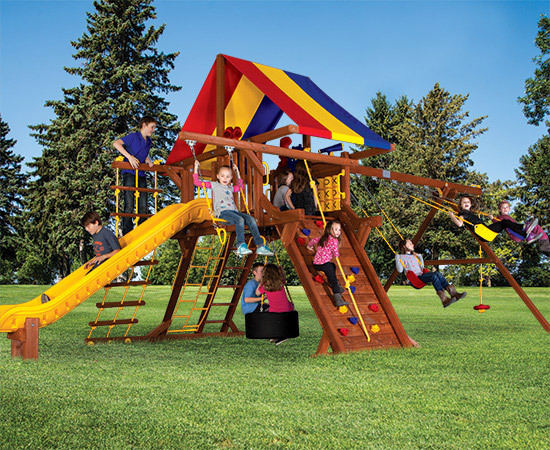 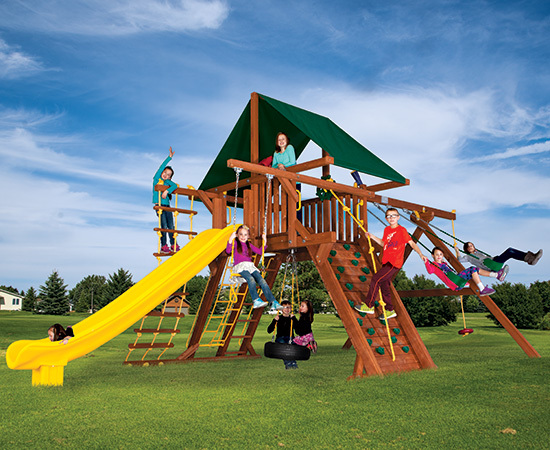 The Sunshine Castle is the most replicated swing set design in the residential playground industry. 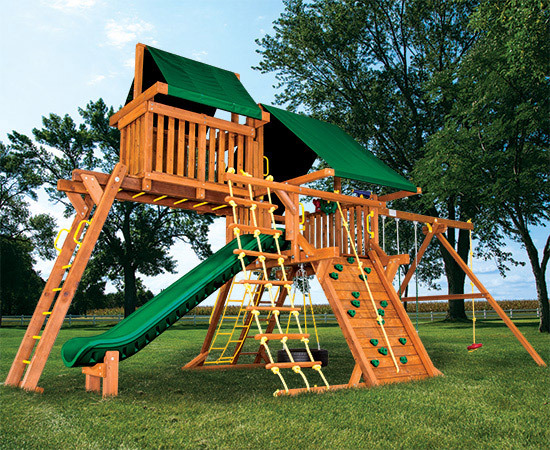 Sunshine Castles have all available options, add-ons and accessories and are fully modular and expandable.